As a Seller I am very dissatisfied about complaints I have lodged with Community Watch regarding Pick n Jewel who uses my Exclusive Logo with which I have spent some time to create it and to make it my own. During April this year he only started to sell items. All of a sudden after he had bought from me I have noticed that he is using my logo. He made a few changes, but you can see it is a layman's job - if I can use the term. He blatantly stole it from me. I had confronted him about the logo, just bad denial. I have contacted him several times through email and now this morning he warned me should I further harass him he would report me to BidorBuy. At this moment in time I feel that it must stop here finish and klaar. Last night when I entered my User ID into the search column I have noticed that I have got three pages of listings and I thought by myself, wow I don't have so much. 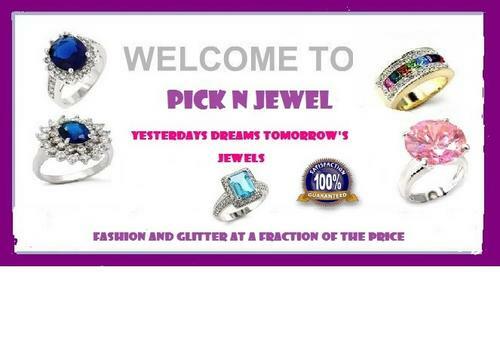 Here Pick n Jewel's listings are proudly shown on my pages. You can see for yourself whoever might be reading my thread that I am so correctly pointing out this misconduct. Use these links to see what is really going on. You will notice in the under-mentioned listing which is between my listings in any case, that the logo still belongs to me. In the meantime I had to change my logo. If you go back to my earlier listings you would see the similarity. When you use this link it will show you it is my logo, right click on logo and save to file this will come up. Al jou ringe wys op my listings, behalwe een. Gaan in by my User ID 1017840 en dan kyk jy weer. Iewers het jy my user ID gebruik. Neem asb kennis dat my listings nie op jou profile is nie, jou goed en my goed val egter onder dieselfde item listing nommer , dit is nie jou of my profile nommer nie maar wel die items se groep listings nommer, neem egter ook kennis dat ek in geen omstandighede jou user id kan gebruik nie want ek het nie jou password nie. So this matter I will leave in your capable hands to sort out on my behalf. I trust that you will have a solution for this. I invite him to respond to his thread. Thank you so much for reading. Unless I'm missing something the only similarities I can see between your logos is that they both say "Welcome to"... in grey. Hardly something that could be called copyright infringement. His items are not shown in your listings, nor can he or did he, get access to your profile without you giving him your login details. The only person that logged into your account is you yourself. I checked the log. Your user ID is 1017849 and not 1017840 as in your email to him. I've looked under the sellers' recently sold items and found that the logo "block" has two identical rings in the same corner as does the user Pick 'n Jewel and I think this is what Royalty is referrring to. The wording has been changed but there is a similarity as to the layout. Every listing of him is now removed out of my listings. It is not anymore about the listings, it is about my logo. Yes, but nobody could understand my explanation. They have to look on his listing and see that the link coupled to the logo, my user ID still reflects. What does that mean? All the way Pick n Jewel is now smiling, because it was too late for you to investigate. He renamed all the links of my logo. But still if you look at earlier listings of mine you would have detected it. Why am I still moaning. Now I will also do the same, you have created an example of how things can be done by copying another Seller's pics and/or logo's. I can understand your frustration, however, I strongly suggest that you take a couple of minutes to compose/calm yourself before making statements as you did in the quote above. Should time allow, I will go through all the community watch emails and listings regarding this during the weekend and someone will get back to you as soon as possible. have a look in seller's recently sold items. Right click and save to file on the logo and you will notice that my user ID reflects. That means he did copy it from me. Just have a look at Seller's recently sold items. He did not rename the logo's link as yet. You will see my user ID does reflect. So he did indeed copy it from me. Go to bidorbuy ID: 39324499 recently sold. I wanted to submit the correct link. Hi, I had my cup of tea and is very calm now, but not yet finished. I will attach the two logo's, one of mine and the other one of Pick n Jewel. Then if you right click with the mouse on the logo itself, you save it to your file or pictures then you would see my User ID 1017849. If you go back to his recent items sold there is the proof. You will notice the borders was done by a layman who does not know exactly how to utilize his computer's programs. He added the other lot of rings after I had confronted him. If I haven't prove my case beyond any reasonable doubt then I don't know what else to proof that he did indeed copy my original logo. Shame man, this issue robs you from your peace! Facts? Honestly, if you did not register your "trademark" it is NOT any protected trademark at all... I've designed some designs - which are registered trademarks today... But what you have is something anybody may use - unaltered. You are not protected. Nobody has done you in too. I can see what Royalty is trying to point out as clear as day. 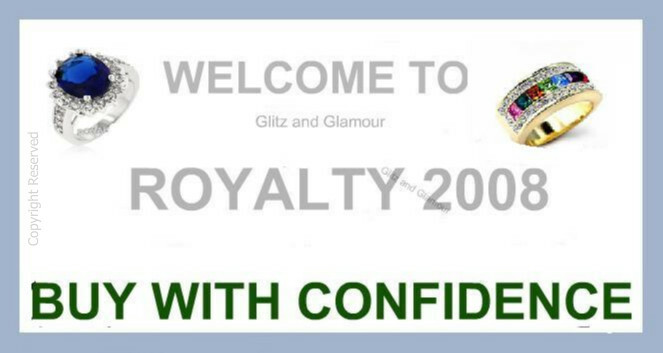 Right click on the "logo" in Pick n Jewels listings, select properties and in the middle of all the "numbers" you will clearly see Royalty's user number (1017849) not his which clearly means that this logo was copied. I've picked up in the past that several other sellers have "stolen" my info, images or layouts too, but most of the time the "powers that be" turn a blind eye. Pity though as it can cause lots of tension and animosity between sellers. Trademarks work differently to copyrights. Copyright exists on your intellectual property (even if you don't state so in the image or the listing) and any images or test that you produce are protected in either their original or altered form. The biggest problem here is that the original image has been altered to such an extent that there is no longer really any unique attribute that could be called copied since the font is generic and basically it appears to have been used as a template to create something quite different. Trust me, I have been there too... Trademarks, patents etc. etc... Any filed trademark MUST be registered to protect the holder/user or designer thereof. Like you people, I clearly see misuse by another BOB-seller... But, the Law sees no "crime." I developed a system and I HAD to protect ALL the exclusive rights thereof - ONLY by nationally register the name, concept AND the Logo thereof. What we see as unfair is not unfair to the Law... Alas, what I see is sellers..., misusing loopholes - shaped or left by sloppy laws? I have also picked up on a few other recently sold items from PnJ that Royalty's user number appears. I understand that some may say there are no similarities, but what about the two identical rings in the top corner? These are absolutely similar. One can clearly see it has been copied and pasted, and I do not agree with this. I would be highly cheesed-off if someone copied my logos or settings as I designed them and paid for the final product on the original Miss Jewels layout. I think its "cheap" when you can't even come up with you own idea and just casually go ahead and "steal" someones' idea. Copy and paste is still stealing if its without permission. We were clearly told by BoB that we could not use other users' pictures for our own use without prior permission, surely the same applies here? Thanks Miss Jewels and Cali Craft you certainly do not have blonde moments reading my concerns. Thank you, somebody who does understand. Do I pick up a bit of sarcasm? I hope not. Thread locked for possible feedback from bidorbuy on Monday.